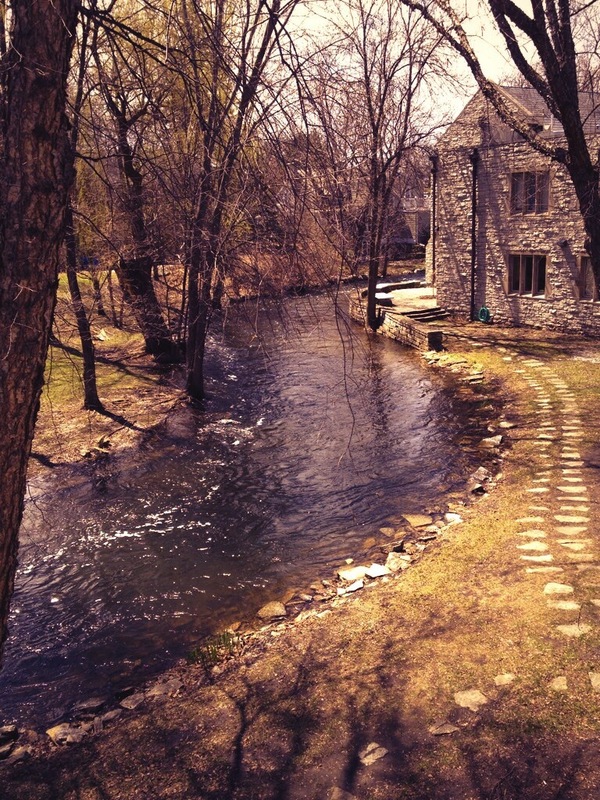 So this was my last view from the windows of the Rector’s study at St. Stephen’s Episcopal Church in Edina, Minnesota, on Sunday afternoon, May 4, 2014. It was the last day that I stood at the Lord’s Table as the Rector of St. Stephen’s to give thanks to God with the people of that congregation. Afterwards, I took this photograph. That particular moment, both the view and the occasion, brought to mind the words of a poem by Wendell Berry from his book Leavings. It’s one of many poems that come from his Sunday morning walks and observations of the world, but this one has fitting last words: “Let others come.” To that, I say, “Amen.” One year has now passed, and soon enough another priest will be called to sit there, overlooking Minnehaha Creek as it hugs the church and makes its way to the Mississippi River. A native Minnesotan (who walked along Minnehaha Creek many times) especially appreciates your sharing this. That looks like it was a very peaceful place to be writing your sermons. Places like this always leave me feeling very calm and serene.